Hondon de las Nieves and Hondon de los Frailes nest in a beautiful valley located inland, west of the Alicante in Spain. 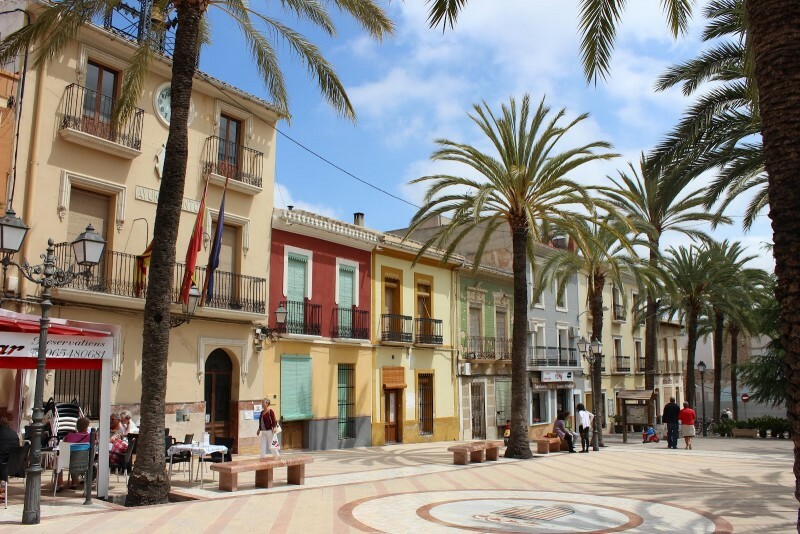 Hondon De Las Nieves and its neighbouring village Hondon De Los Frailes are typical Spanish, rural villages, quaint, friendly and have changed very little over the years. Hondon de Las Nieves literally means 'Gorge of the Snow' but not after the weather. It is named for the village’s loyalty to their patron "The Virgin of the Snow". This effigy and the church is at the heart of village life, the 'Virgin' has her own fiesta dedicated to her. Although there is not much written about the history of Hondon de las Nieves it is said that the town was inhabited at the time of the Greeks. The Arabs invaded in the fifth century and held control until it was re-conquered in 1246. Hondon de las Nieves belonged to the jurisdiction of Aspe until 1839, when it became independent and formed a single municipality in conjunction with Hondon de los Frailes, which in turn had been segregated from Redován. In 1926 Hondon de las Nieves and Hondon de los Frailes separated to become independent municipalities. Until 1707, Hondon de los Frailes belonged to the Government of Orihuela. In 1840 the town segregated from Redován, joining the town of Hondon de las Nieves, and remained attached to it until 1926. The Hondon Valley is well known for its Grape Vines and is sometimes called ‘The Valley of the Vines’. The economy relies heavily on the agricultural industry in this very fertile valley. Grapes, almonds and olives are mainly grown here. Surrounded by an expanse mountain views (Crevillente Sierras) this rural area is known as the District of Vinalopo; a name often seen on Spanish wine. The other dominant industry has been Construction with many limestone quarries servicing the Costa Blanca building trade with cement products. The Hondon Valley enjoys over 300 days of sunshine and pleasant breezes. Summers are very hot whilst winters quite mild. The Hondon Valley is a peaceful and tranquil area, and the pace of life slow. See below to view a selection of our bargain properties in the Hondon Valley.